To me Boudoir Photography is a chance to express yourself and embrace a sexier side of your free spirit that often gets forgotten in the midst of our hurried lives. It's a chance to set confidence free, delight in some fun and create an amazing gift for your groom! 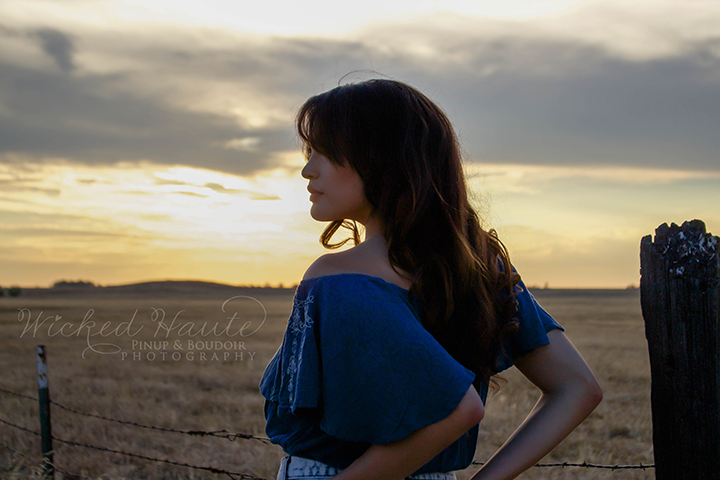 Wicked Haute Photography provides a comfortable, laid back, flirty atmosphere for you to embrace the skin you're in! Check out the sweet and honest testimonials from past clients that will show you how relaxed and amazing your experience will be. Check out the Wicked Haute Boudoir Parties! This presents a a ton of fun with your girlfriends and creates the ultimate opportunity for pillow talk. It truly puts a unique spin on a bachelorette party and leaves you and your gal pals with endless memories to look back on! Plan an adventure with the Wicked Haute destination shoots in Malibu and Las Vegas! Wanderlust to the beach or Sin City and get inspired before your shoot with the energetic surroundings and add it to your next trip. Live in the NOW! Boudoir Outdoors with Wicked Haute and Makenna this Fall! If you feel like jumping out of studio and into nature, Makenna will be exclusively shooting these boudoir sessions. Connect with Wicked Haute Photography and get to know the faces that will make your vision come to life!